Two brothers looked to the starry skies as children and made a promise … Now, in the year 2025, the younger brother, Hibito, is carrying his out. He is an astronaut who has been selected as a crew member for mankind’s first long-term base on the moon. Meanwhile, the older brother, Mutta, has just been fired from his job and is unemployed, but decides to trust himself just one last time. 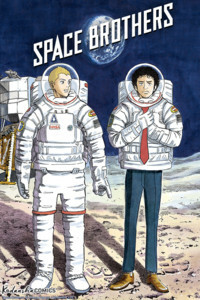 A text message from Hibito sends him applying to be an astronaut too and shooting for the stars … The official Space Brothers manga is ready to launch! The fate of the Earth has been entrusted to a single woman! A new SF comedy series! 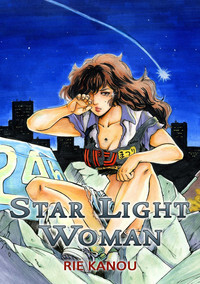 As more and more witnesses report seeing UFOs, a plain woman named Hoshi is working late at her part-time job. But she has an important secret! 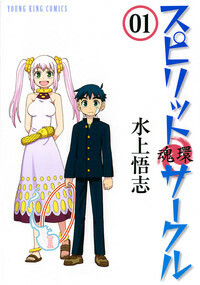 Fuuta Okeya is a normal middle school 2nd grade student. It was supposed to be a peaceful middle school life, but is turned upside down by an appearance of a transfer student, Kouko Ishigami who has a big scar on her forehead. This is a metempsychosis spectacle story in grand scale! Boy meets Girl!! Kazuo, a ronin aiming to get into a distinguished college of music, meets a girl who loves baseball. 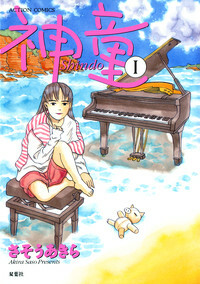 Her name is Uta Naruse, the piano prodigy who can play Debussy as if it were nothing! 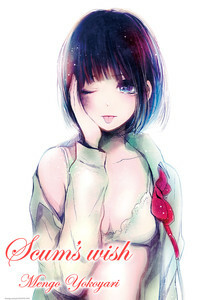 Manga may be a soundless way of storytelling, but your heart will be filled with beautiful music!! Kuzu no Honkai - We are the scum of humanity... Hanabi and Mugi are bathed in envious gazes from all around as a beautiful couple with excellent moral conduct. But these two apparently perfect people in an apparently perfect relationship share a secret they can't tell anyone.